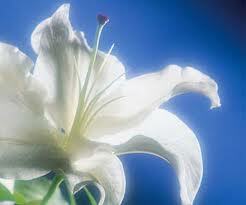 A few days ago, as I sat mourning the loss of aunt Marilyn, at her funeral, I reflected on god a bit more. This funeral was held at a Mormon chapel in Alpine Utah, close to my last home in Highland. Many folks from my family were there, and it was the first time I'd seen them since going to Belgium. The moment provided much time for introspection, which, I think should be the purpose of true spirituality and religion, so it was very appropriate. but I remember thinking to myself, I know I don't believe in god literally, as these folks do. But I enjoy believing in a metaphorical god. I enjoy believing in a god that represents people. And I remembered several things that Einstein had mentioned about god, even though he was an atheist, leaving religion once he entered schooling and found that most of what his religion taught him to be completely different than what he learned in school, etc. But, he often continued to refer to god anyways. 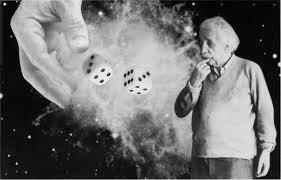 He's quoted as saying, "I for one, don't think god plays dice with the universe", using god as a metaphor for pretty much all of the forces, laws and circumstances that originated our existence. As I continue to explore this metaphor for god, I believe that I begin to like god, more and more. With this, I'm able to see others in this godly, spiritual light. I think that reaching out to these other people, actually reaching and connecting with other people, is as close to god as anyone will ever get, and that heaven is only attainable right now actually. (2) not exist - We would become depressed - violent and ultimately never even come together to reproduce - an instinctive trait present in all animal life-form species. (3) I postulate we would live autistic lives, possessing the ability to carry on, but without the desire. Anybody else had these kinds of thoughts about the human condition? the human form? The metaphorical god? Thank you Marilyn for sharing your warmth and kindness in the few short years I knew you, and thank you Aunt Linda for sharing your kind words about Marilyn and those who knew her. God as a metaphor works nicely for me. God is the best in all of us. God is the unexplained force in the universe that brings things together. (Doesn't mean there isn't an explanation, just I don't have an explanation.) God is the thing that connects us to each other and to the world around us. God isn't some dude with a beard and white robes who LITERALLY makes things happen. Thanks Jen. I'm much more comfortable with nature LITERALLY making things happen, instead of a supernatural being. Especially if that supernatural being is the one described by the old testament. I wonder though. Is it OK for me to talk about god now? Even long after Einstein found he no longer believed in god, he continued to refer to god all of the time...almost out of convenience, I think. But, a god that is all of natural laws, and obeys those laws, no matter what 'sins' I may commit, unless they are true sins against nature, such as damning up rivers, etc. Ha, funny you wrote about this Brent...I've been transitioning to use the term "Mother Nature" in place of God - seems to work well most of the time. Religious folk take it as humorous, other atheists are completely okay with it...it seems perfect! There is a wonderful book called "Looking in the Distance: The Human Search for Meaning"
“A sentence is not finished till it has a full stop, and every life needs a dying to complete it. It is dying that finishes us, that ends our story. We die containing a richness of lovers and tribes, tastes we have swallowed, bodies we have plunged into and swum up as if rivers of wisdom, characters we have climbed into as if trees, fears we have hidden in as if caves. I wish for all this to be marked on my body when I am dead. I believe in such cartography. Thanks Brian. I love the Cartological Metaphor for life. I retreat to my cave far too often. I think it is all right to talk about God because when you say the word it is understood by a person who perceives God in his way. If I talk about God to a Lutheran, he understands one thing, and if I talk about God to a Muslim, he understands another. And Mormons understand another. Sometimes language is imprecise. 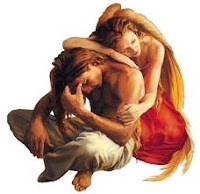 You use a painting of an angel giving comfort to a seated man. Kindly identify the artist, please. I can't remember. Do you know it?